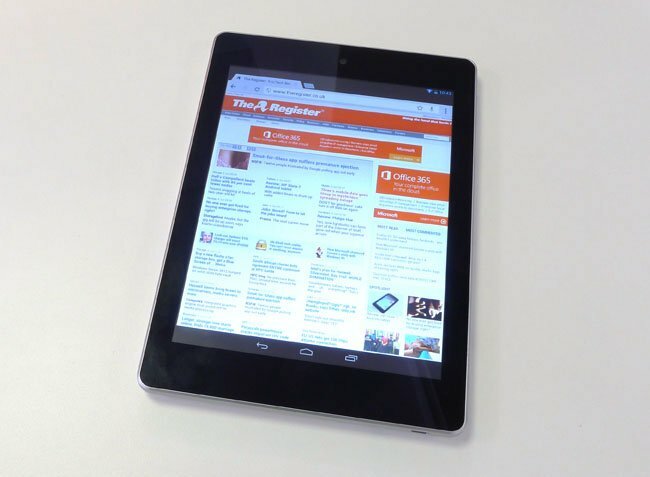 Review The Iconia A1-810 is, of course, an iPad Mini clone. 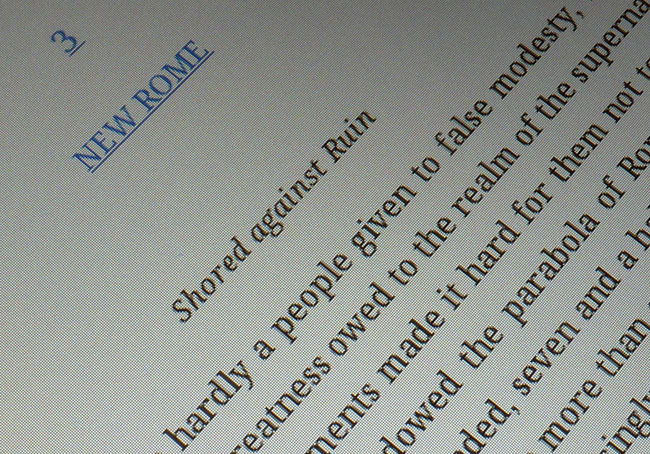 How else could Acer, after years of offering slates with 16:9 widescreen panels, have suddenly hit on the idea that punters want a 4:3 tablet - “the right aspect ratio”, an Acer exec eagerly told me - without being inspired by Cupertino’s latest? Nothing wrong with that, though. There’s a long, well-established tradition in the technology business of spotting a popular design and improving upon it. 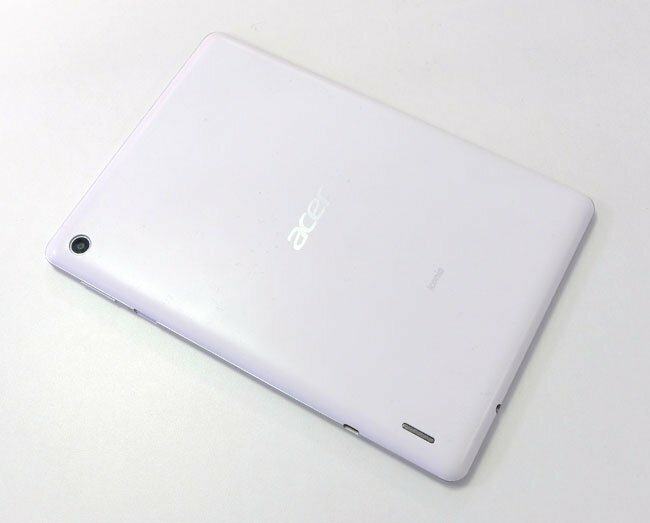 And, having suffered somewhat over the last year or so, the now-reviving Acer perhaps shouldn’t be overly criticised for wanting a piece of Apple’s eight-inch action. And why not offer another alternative to the standard seven-inch Android tablet? There is no "right" size of tablet, after all. Case in point: I have two, a 9.7-inch iPad for enjoying movies, mags and comics when I’m lounging around at home, and a handy pocket-sized Nexus 7 for reading on the Tube. Both devices were chosen because their respective form-factors are appropriate to where they get used. I don’t see any good reason to put up with compromised portability or reduced screen size and resolution when a second tablet means I don’t have to. Especially when you can buy one for 160 quid or less. My rejection of the "one size fits all" approach doesn’t suit everyone, of course, as the success of the iPad Mini would seem to suggest. Some folk clearly do want a tablet that has a bigger screen than a seven-incher but is still relatively easy to carry around, and so can be used anywhere they might take it. A bit of a handful? But it remains the case that the A1 mirrors almost exactly the Mini’s key attribute. The A1 has a 1024 x 768 resolution screen, and so does the the Mini. Both screens are LCD panels that are 7.9 inches in the diagonal and are built using IPS technology. But they’re not equal. The A1’s display is much darker. Even on maximum brightness, it’s not up there with the Mini - or, I might add, my Nexus 7. That, plus a slightly yellow cast, gives the A1’s screen a murkier look than I like. It’s not unpleasant to use, unless perhaps you’re obsessive about calibrated colour reproduction. But every so often you watch something and want to up the brightness a bit but can’t because you’re already at the limit. The A1’s screen particularly struggles somewhat as the brightness of ambient light increases into sunshine. This is a common fault with LCD screens, but the A1 fared a little worse than others I’ve tried. And Acer hasn’t fitted an ambient light sensor, so there’s no automatic brightness adjustment. Acer claims the display has a wide viewing angle, thanks to the IPS technology, but the screen appears darker as soon as you turn it from the perpendicular, possibly due to an extra filter integrated into the display. Not that the glossy screen makes glancing over at an adjacent A1 easy, in any case. The A1’s panel, then, feels low-cost in comparison to others of its kind. The ten-point touch sensor likewise. While either of my own devices will sense even a gentle, quick tap, I often had to go back and tap again on the A1’s screen, this time with a little more vigour, to get it to register a touch. Not enough to make me wonder if I’d been sent a device with a resistive touchscreen, but almost. Sometimes it stopped registering taps at all. The A1 is more than a centimetre thick - 11.1mm to be precise - which is fractionally more than the front-to-back dimension of the Nexus 7 but appreciably chunkier than the Mini’s svelte 7.2mm. It’s heavier too: 410g to the Mini’s 308g and the Nexus’ 340g, despite its plastic construction - which, incidentally, proved sufficiently robust when I accidentally dropped the thing onto a tile floor; it managed to stay together undamaged. It’s easy to talk numbers, but the extra weight makes a difference. I found myself putting down the A1, or swapping hands, more often than I do with my Nexus 7. 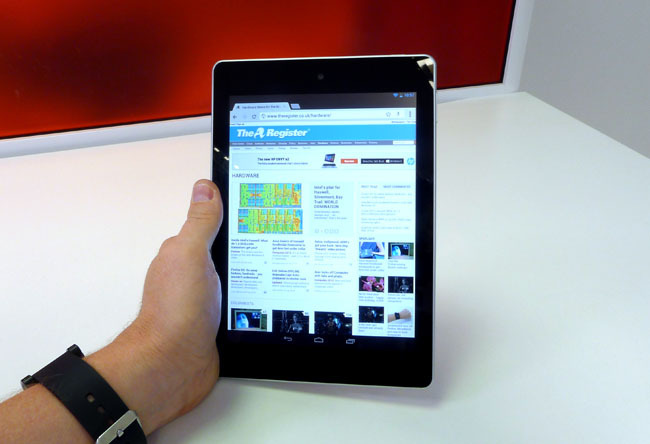 I can comfortably grip my Nexus 7 in one hand, thumb supporting one side, fingertips the other. I can hold the A1 that way, but not comfortably, though folk with bigger hands will be less stretched than me. Hold the A1 thumb on the face, fingers supporting the back - the traditional way to hold a tablet - and the weight eventually begins to tell. And with smooth surfaces front and back, the A1 is easy to drop.